Pictured are Johnny Uribe and Baldo Magana who helped to put up the names of this year’s recipients. Photo courtesy FHS Staff. The following inductees will be recognized at the 2018 Fillmore High School Back to School Night in August as the second induction class of the Fillmore High School Academic & Career Hall of Fame. We are currently accepting nominations for the next class of inductees. 1. Andy Barker – Class of 1979, Senior Vice President of Albertson, Von’s, Pavillons, Southern Cal Special Olympics 2018 Rafer Johnson Award. 2. Kevin Gross – Class of 1979, Pitched 14 years in the Major Leagues, Pitched a no hitter. 3. Janice Schieferle – Class of 1966, BA CSUN, MA California Lutheran University, 31 years at FHS, Volunteered 45 years in FUSD. 4. Homero Magana – Class of 1999, BA UC Berkeley, MA CSU San Diego, MA CSUN, Recognized by Michelle Obama at the 2014 College Opportunity Day of Action, spoke at the White House. 5. Bill Wilson– Class of 1960, BA Stanford, MBA UCLA, President of Bank of America (Canada), Created Bill Wilson Charitable Foundation. 6. Mary Lou Dunlop – Class of 1955, BA St. Mary’s College, Deputy Chief Warden for Department of Corrections, 2003 Distinguished Service Award from the Secretary of State. Fillmore High School is currently accepting nominations for the Fillmore High School Academic & Career Hall of Fame (FHSACHOF). To nominate an individual, please email the following information to Barbara Lemons at blemons@fillmoreusd.org. Mission: The Fillmore High School Academic & Career Hall of Fame is to recognize those who have demonstrated significant accomplishments based upon academic excellence & achievement, career accomplishments, community service, personal excellence & dedication to lifelong learning. Nominees will be recognized for a high level of achievement in a combination of: academic endeavors, career excellence & service to community. The nominee should also exemplify personal commitment to: good character, scholarship, leadership, service within his/her field of expertise. 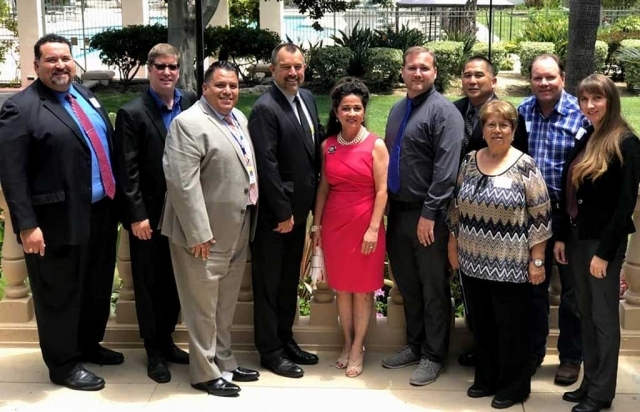 Nominees must have graduated from Fillmore High School, be at least 30 years of age and in good standing with the Fillmore Unified School District. The above data shows the dramatic positive changes that have occurred over the recent years at Fillmore High School. A big change has been in the numbers of students that have been suspended each year. With the lower number of suspensions comes a positive school climate where students feel free to learn in a safe environment. Students also rush to class, eager to learn each period and tardies are virtually non-existent. There has also been a noticeable rise in kindness and respect among staff and students. Academic achievement data has, in many cases, increased three-fold. More students are challenging themselves in preparation for college. There has been an astronomical increase in students taking Advance Placement courses to the point where Fillmore High School ranks in the top 7% of schools in the nation. Another noteworthy statistic is the A-G rate (students eligible to attend a UC/CSU) which has tripled in a very short time. Fillmore High School is one of the leading schools in Ventura County in the A-G rate. 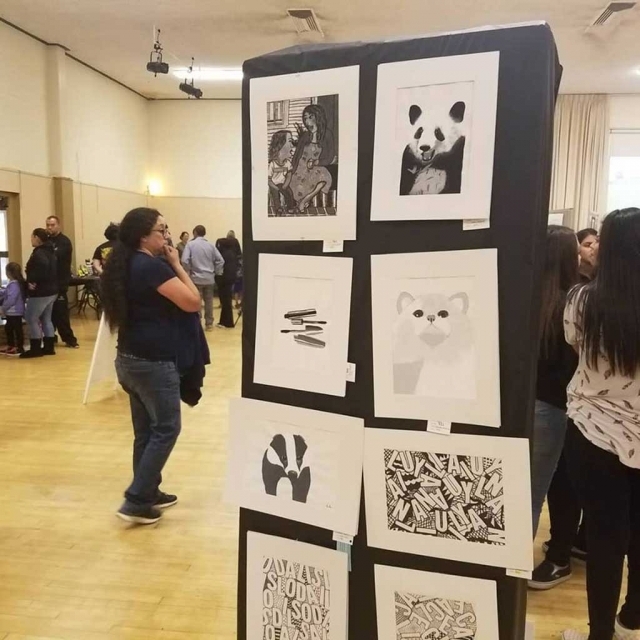 Other areas that indicate an extreme swing of the proverbial pendulum are the number of students earning a Seal of Biliteracy, Golden State Merit Diploma and Valedictorians honors. The final data sets are indicators that Fillmore High School believes in education for all and not just the elite students. The number of English Language Learner testing on the CELDT Exam has dropped each year meaning that students are becoming proficient in English at a very rapid rate. Almost all the students at Fillmore High School are graduating and very few are dropping out compared to five years ago. With the one of the highest graduation rates in the state, the message is clear that every student matters. These statistics together point to the most telling number- increased enrollment. Students are not leaving Fillmore for other high schools as in the past. We are retaining our students and that includes the best and brightest. These top students are the ones that have earned high honors in the classroom and on the field of competition. To that end, consider an A-G of +50% and four CIF Titles in 2 years. 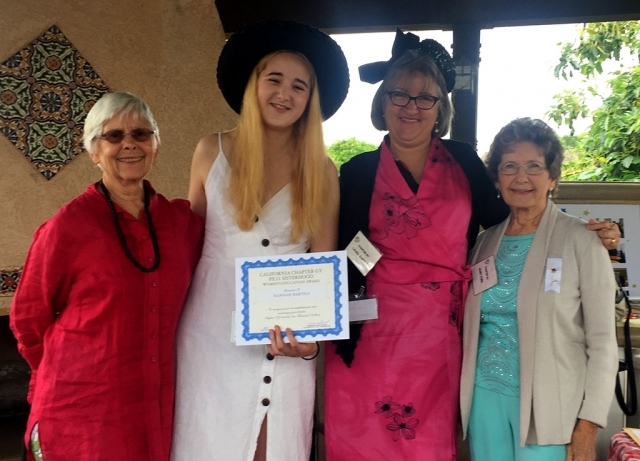 Pictured (l-r) are Amy Gage (Hannah’s grandmother), Hannah Bartels of La Reina High School, Laura Bartels, and May Ford, PEO Chapter GY President. Photos courtesy Sue Zeider. Hannah Bartels being presented the P.E.O. STAR Scholarship by PEO Chapter GY Project Chair, Pat Morris. The prestigious P.E.O. 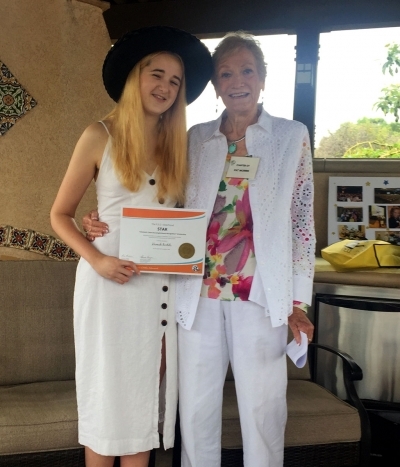 STAR Scholarship for the 2018-2019 academic year was presented to Hannah Bartels, a senior at La Reina High School. Hannah is the daughter of Bill and Laura Bartels of Fillmore and she has been accepted and will attend Tulane University where she plans to study Architecture. Hannah was recommended for this scholarship by the local Fillmore P.E.O. Chapter GY. The P.E.O. STAR Scholarship is a $2,500 scholarship based on excellence in leadership, extracurricular activities, community service, academics and potential for future success. The program is open to young women who are citizens or legal permanent residents of the United States or Canada and who are graduating high school seniors at the time of application. A student must be recommended by a local P.E.O. chapter. Over two thousand young women applied and approximately 700 were chosen. In addition, Pat Morris of P.E.O. Chapter GY, presented Hannah with Chapter GY $1000 award. This is awarded yearly to a graduating senior in the Fillmore-Piru area. 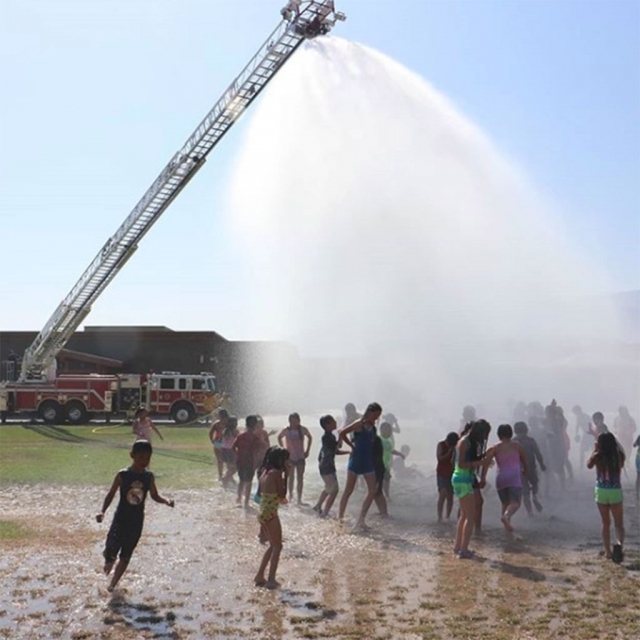 Fillmore Fire Department visited both San Cayetano and Rio Vista Elementary school for the Annual Wet Down. Pictured are the kids from Rio Vista enjoying the water. CSU Channel Islands (CSUCI) has 26 majors, 26 minors, a top-notch faculty, small class sizes…and great waves. CSUCI was just ranked 6th among the Top 10 Colleges for Surfers across the nation by College Magazine, a national college guide and quarterly magazine edited by students. The recognition comes as the University’s Surf Club competes in the 2018 National Scholastic Surfing Association National Interscholastic Championships June 15-18. Surf Club President Claire Loughlin said her hopes are high that the team will do well again this year as the University boasts one of the most successful National Scholastic Surfing Association (NSSA) teams in the nation. Both Class of 2016 graduates, Finley, an Art major, took the College Men's NSSA State Championship title and Stavron, a Communication major, got fourth place in the Longboard division. Finley and Stavron competed against 180 other surfers during the March 2016 competition in San Onofre, California. The coastline along Ventura and Santa Barbara County is unique among surf destinations because of the different types of waves you can get on any given day, Loughlin said. “We have such a variety of different breaks,” Loughlin said. “We can get a point break at Rincon, a beach break at Pacific Coast Highway in Oxnard, and if I want a reef break, I can paddle out to Emma Wood (State Beach),” she said. The camaraderie among those in the CSUCI Surf Club is also a bonus for members and they’re always welcoming new surfers. CSUCI President Erika D. Beck said the thumbs up from the national surf community is a nice complement to the University’s superb academic programs. 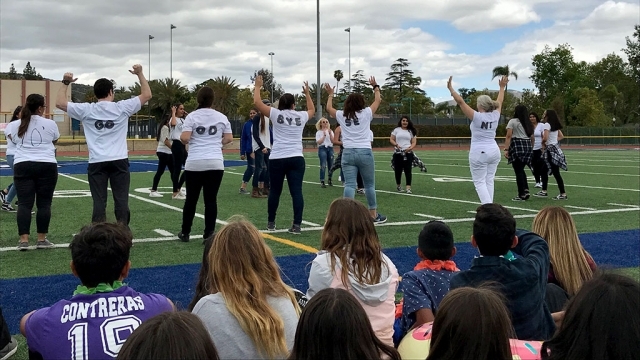 Last Friday, June 1st Fillmore High School hosted their Farewell Rally to say their final goodbyes to the 2018 Graduates. The rally was held on the Fillmore High School football field. The underclasses watched from the stands as the senior’s sat on the track. FHS staff gave an entertaining performance for the seniors in their goodbyes to the senior class as well. Photos courtesy Katrionna Furness. Centered is Jeremiah MacMahon of Fillmore High School and Laurie Merrill of Fillmore Middle School pictured with the Fillmore Unified District Administrators and Board Members at the Ventura County Innovates 2018 Pathfinder Awards where both Jeremiah and Laurie were recognized as this year’s most innovative educators, business and community partners for their support of Career and Technical Education. (l-r) Matt Dollar, Lourdes Juarez, Erin Sebek, Mark Sebek, Kathryn Kennedy, Jeremy MacMahon, Benjamin Bradshaw, Debbie Hoffman, Leanna Legere, Norm Andersen and Steven Kandel. Photo Courtesy Tom Ito, Fillmore High School Principal. Fillmore High School has once again qualified for the Washington Post America’s Most Challenging Schools. In 2017, Fillmore High School ranked in the top 8% of schools in the nation. Schools were selected based on the number of students taking advanced courses. 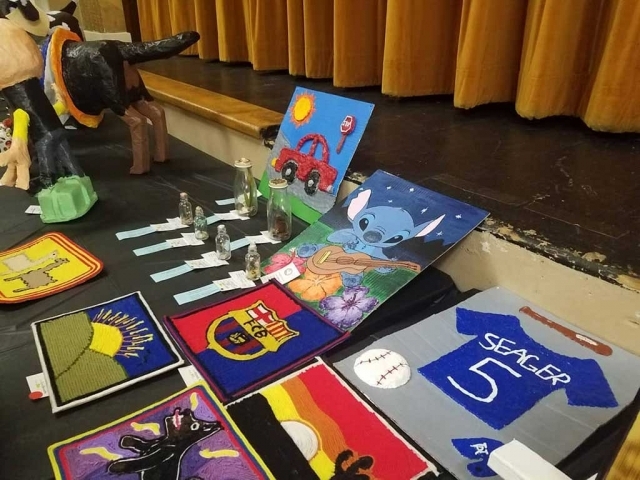 The college going culture at Fillmore High School has continued to inspire students to aim high. 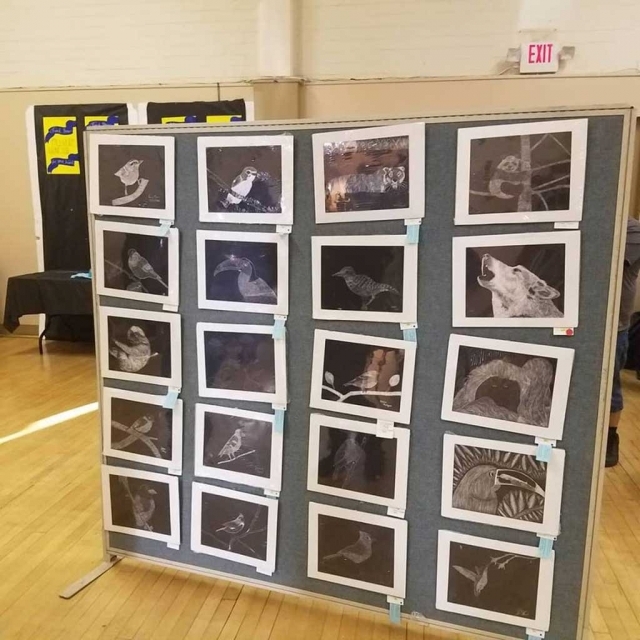 Thursday, April 26th Fillmore High School hosted Open House and 8th Grade Parent Orientation. Parents and students met and were able to speak with teachers as well as learn about all the clubs that FHS has to offer the students. 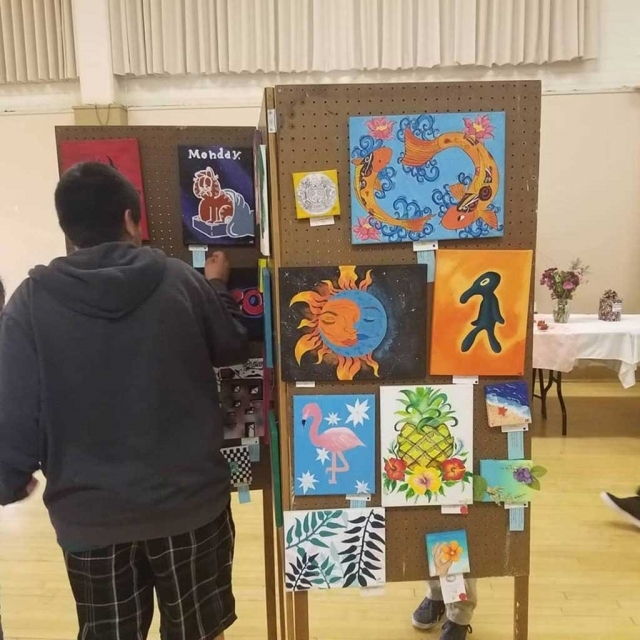 On Thursday, April 19th at the Veteran’s Memorial Building Fillmore High School hosted their annual Art Show. 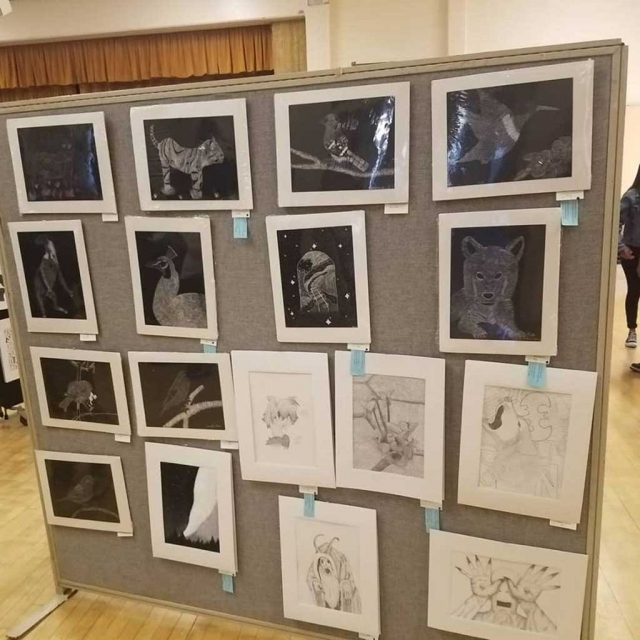 This year’s theme was “Through the Eyes of Art.” Students showcased and sold their artwork and photos to the community. 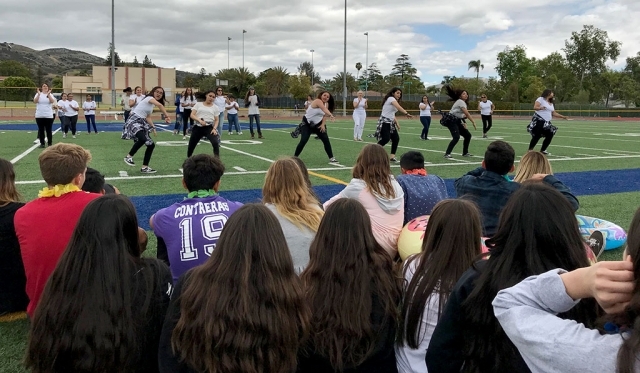 The Video Production class featured short films, the Drama Department did a performance, and a concert was held as well featuring the FHS Marching Band, Jazz Band, and Los Rayos Mariachi Band and Ballet Folklore dancers. 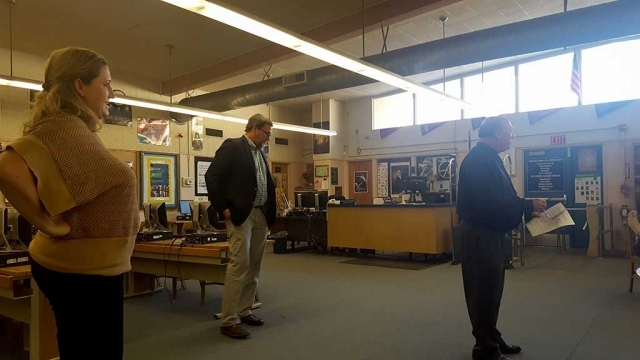 Pictured above is the AC WASC Visiting Committee as they addressed the Fillmore High School Staff back on November 14th 2017 in the high school library. Front and center is Dr. Jeff Davis, David Reese in the back left and Dr. Elise Simmons. Photo Courtesy FHS principal Tom Ito. On November 12th, 2017 the WASC Visiting Committee, headed by Dr. Jeff Davis, started their two day examination of Fillmore High School. During their visit, the three member team spoke to students, parents, teachers, classified staff and district office staff with the sole intent to evaluate and confirm that Fillmore High School had met the Accrediting Commision for Schools Western Association of Schools and Colleges criteria for accreditation. A large part of their visit was to focus on relationships, technology, teaching practices and curriculum. In speaking with Dr. Jeff Davis, Assistant Superintendent of Ventura Unified School District, he felt that from the Self-Study Report, everything lined up and looked great, including the focus on best teaching practices, curriculum, campus climate, test scores and other forms of data. He went on to say that everything pointed to the fact that Fillmore High School is on the right track and is a very good school. Fillmore High School received the following commendation in the visiting committee report, "The Fillmore High School staff values collaboration and meaningful professional development. The staff is willing to implement new programs, try innovative approaches, identify needs and gaps, and pilot new programs in order to support achievement." 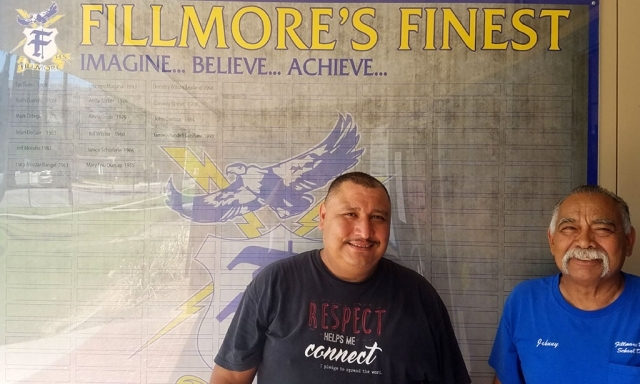 The direction that we have taken at Fillmore High School, the past 4 years, is that we have experts within our ranks, it is alright to take chances, and the professionals at Fillmore High School are allowed to innovate and create cutting edge programs. The result has been a rise in test scores, data sets and learning, to go along with the empowerment of staff to collaborate both formally and informally. Another commendation from the visiting committee was, "the increase in instructional technology and its integration into the curriculum is evident schoolwide." This has been primarily achieved, again, through a concerted effort by the Fillmore High School staff. There has been an emphasis on professional development with site funds supporting among other things, the acquisition and use of educational technology in the classroom. We have also had many staff led professional developments on educational technology. This has included the vetting by staff and the purchasing of educational software. 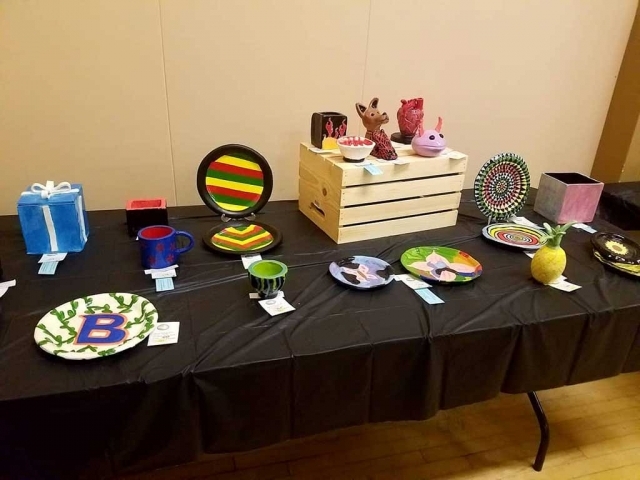 "Students demonstrate a positive attitude and were respectful to the adults and each other." 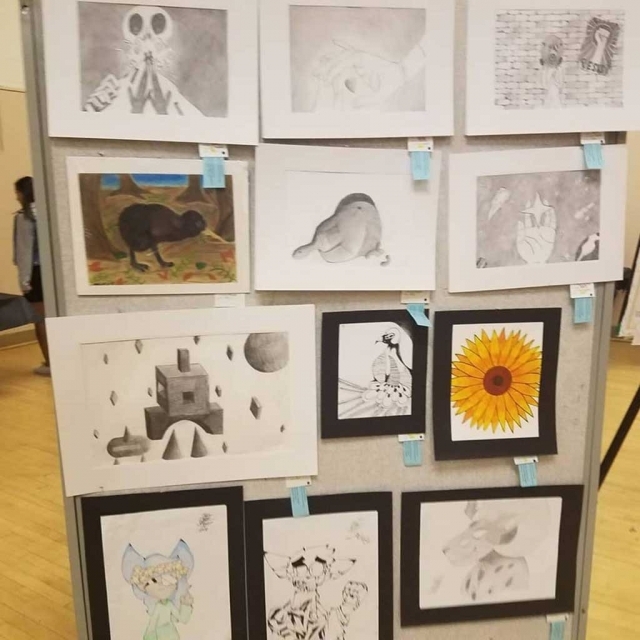 Fillmore High School students are some of the very best in the county. 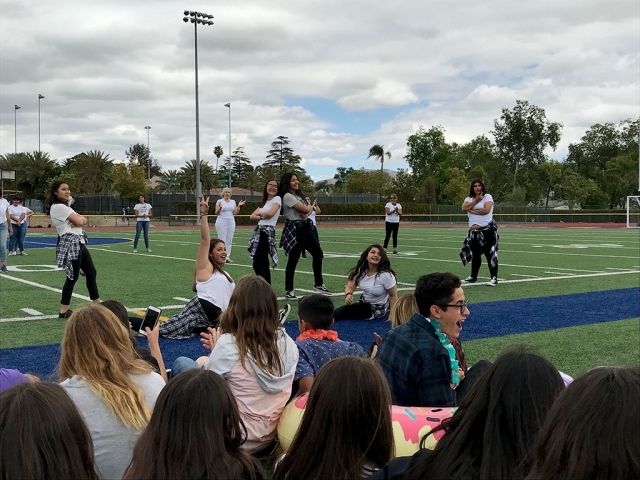 Students are sent to Fillmore High School with a good upbringing but it is the school's responsibility to maintain that in the educational setting. This has been established through setting high expectations with consistent consequences, positive weekly acknowledgement, and a caring climate. There has been a major push towards being kind in all situations. One senior wrote that in the last four years students have been more respectful towards each other and the staff has in turn modeled the positive behavior. 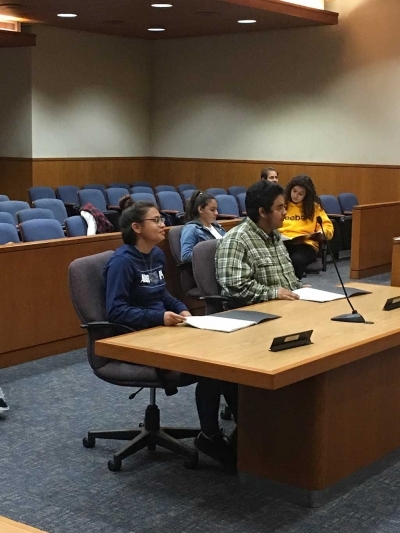 When asked by the visiting committee what was the best part of Fillmore High School, the student panel all agreed that it was the adults. The committee said that this has never been said at any of the other schools they have visited and it was outstanding to hear. 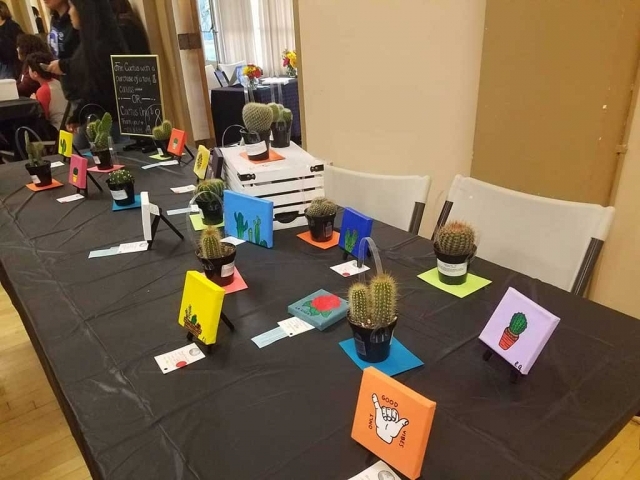 "FHS has increased their communication to families and students through their use of Parent Connect and Social Media." The use of Instagram, Twitter and Facebook has served many functions. It has allowed parents to see their children participate in school events, activities and athletics. The community has had an inside look at all of the great things happening at Fillmore High School. Finally, the students have gained recognition for a job well done. The Community and Parent Panel told the WASC Visiting Committee that they feel connected and involved in the school. They also went on to say that above all, with the social media posts, the most important thing is that school administration is at every school event and that means a lot to the community. "The professional development plans that were developed by the departments...are impressive as they include a needs assessment, goals aligned to the implementation of subject-area standards, and a year-long timeline, and evidence to monitor their plans." This is evidence of the empowerment of staff at Fillmore High School. When staff feels supported and free to explore ideas, the synergistic affect far outweighs any other considerations. There are many more examples of staff led initiatives, too many to mention, but suffice it to say that the power of a hundred united staff members has a strong positive exponential affect. 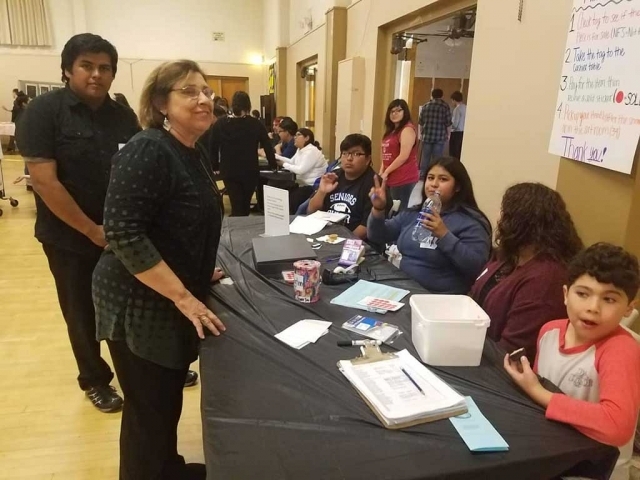 "The ELD teachers have experienced some turnover in recent years, yet the students are continuing to learn English skills and integrate into the school population." This is the most telling of all WASC Visiting Committee comments. The implementation of best teaching practices and rigorous curriculum is so ingrained into Fillmore High School that the system of learning continues even with a change in teachers/staff. Coupling this comment with the data that clearly shows that EL students have been recently re-designated as proficient at record rates adds credence to the current state of academics at Fillmore High School. At the closing meeting on November 14th, in front of the school and district staff, the WASC Visiting Committee gave a final report. The comments were very positive and encouraging but what made it more valuable was that two members of the committee, David Reese and Dr. Elise Simmons were also at the initial WASC visit in 2014. Their longitudinal perspective was very insightful. 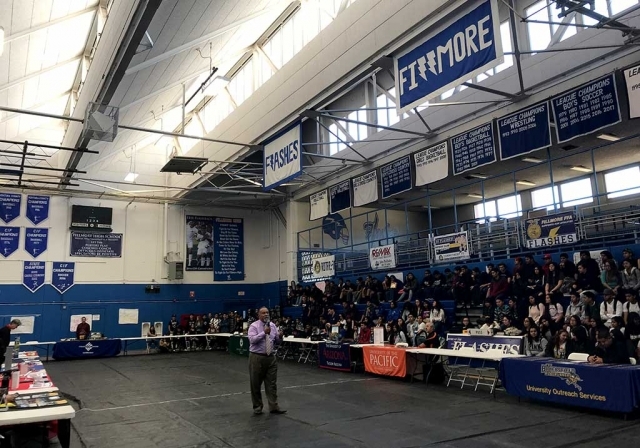 Dr. Simmons, Principal of La Cuesta and Alta Vista Alternative HS, Santa Barbara USD, spoke about how things at Fillmore High School have greatly changed for the better in the past 3 years. "When we were here in 2014 there was no sense of connection between staff, parents, students and community...now the connections are so deep that they are visceral." David Reese, Principal of Bakersfield High School, Kern HSD, went on to expound on how there have been so many things added to the school in the past three years and that the students have been the beneficiaries of it. On February 8th, Fillmore High School received positive confirmation in a letter from the WASC President Fred Van Leuven, Ed.D., "Based on the ACS WASC mid-cycle review, it has been determined that Fillmore High School (9-12) meets the ACS WASC criteria for accreditation...Fillmore High School's accreditation is now reaffirmed through the end of the six-year cycle ending in June 2021." Another commendation from the visiting committee was, "the increase in instructional technology and its integration into the curriculm is evident schoolwide." This has been primarily achieved, again, through a concerted effort by the Fillmore High School staff. There has been an emphasis on professional development with site funds supporting among other things, the acquisition and use of eduational technology in the classroom. We have also had many staff led professional developments on educational technology. This has included the vetting by staff and the purchasing of educational software. "Students demonstrate a positive attitude and were respectful to the adults and each other." 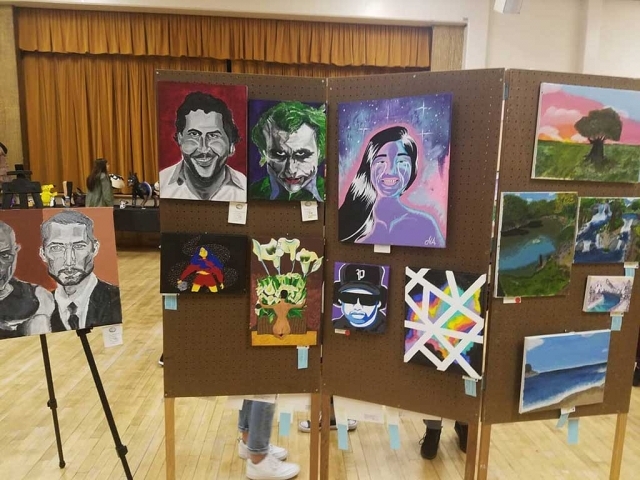 Fillmore High School students are some of the very best in the county. 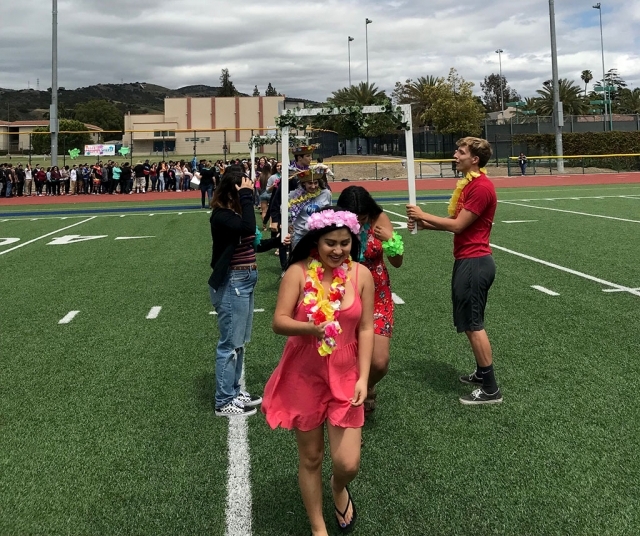 Students are sent to Fillmore High School with a good upbringing but it is the school's responsibilty to maintain that in the educational setting. This has been established through setting high expectations with consistent consequences, positive weekly acknowledgement, and a caring climate. There has been a major push towards being kind in all situations. One senior wrote that in the last four years students have been more respectful towards each other and the staff has in turn modeled the positive behavior. When asked by the visiting committee what was the best part of Fillmore High School, the student panel all agreed that it was the adults. The committee said that this has never been said at any of the other schools they have visited and it was outstanding to hear. "FHS has increased their communication to families and students through their use of Parent Connect and Social Media." The use of Instagram, Twitter and Facebook has served many functions. It has allowed parents to see their children participate in school events, activities and athletics. 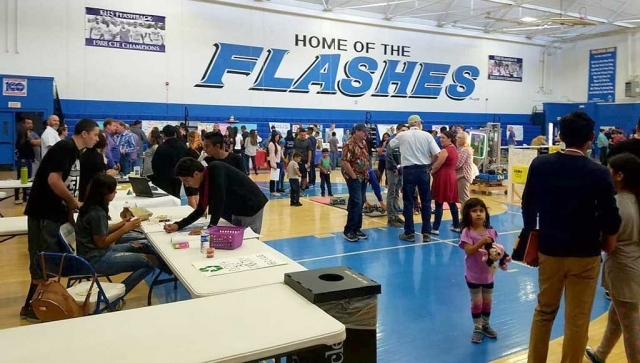 The community has had an inside look at all of the great things happening at Fillmore High School. Finally, the students have gained recognition for a job well done. The Communty and Parent Panel told the WASC Visiting Committee that they feel connected and involved in the school. They also went on to say that above all, with the social media posts, the most important thing is that school administration is at every school event and that means a lot to the community. 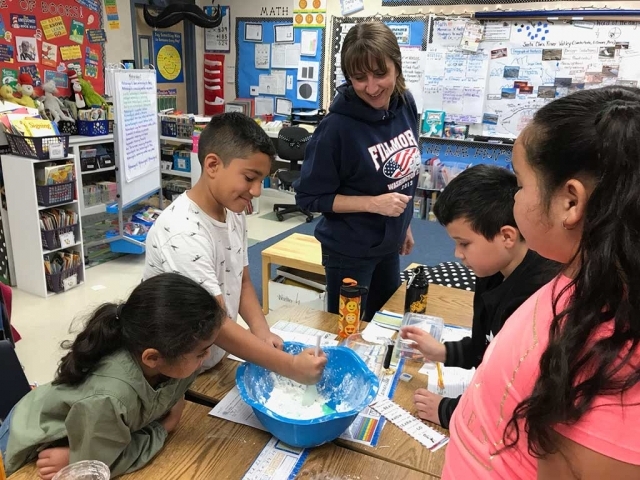 "The ELD teachers have experienced some turnover in recent years, yet the students are continuing to learn English skills and integrate into the school population." This is the most telling of all WASC Visting Commitee comments. 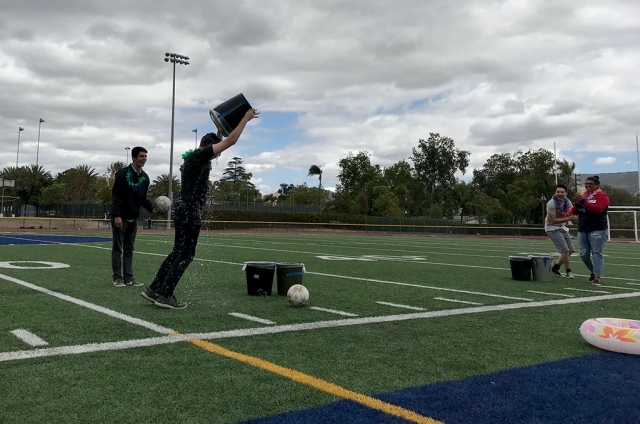 The implementation of best teaching practices and rigorous curriculum is so ingrained into Fillmore High School that the system of learning continues even with a change in teachers/staff. Coupling this comment with the data that clearly shows that EL students have been recently redesignated as proficient at record rates adds credence to the current state of academics at Fillmore High School. At the closing meeting on November 14th, in front of the school and district staff, the WASC Visiting Committee gave a final report. The comments were very positive and encouraging but what made it more valuable was that two members of the committee, David Reese and Dr. Elise Simmons were also at the initial WASC visit in 2014. Their longitudinal persepective was very insightful. Dr. Simmons, Principal of La Cuesta and Alta Vista Alternative HS, Santa Barbara USD, spoke about how things at Fillmore High School have greatly changed for the better in the past 3 years. "When we were here in 2014 there was no sense of connection between staff, parents, students and community...now the connections are so deep that they are visceral." 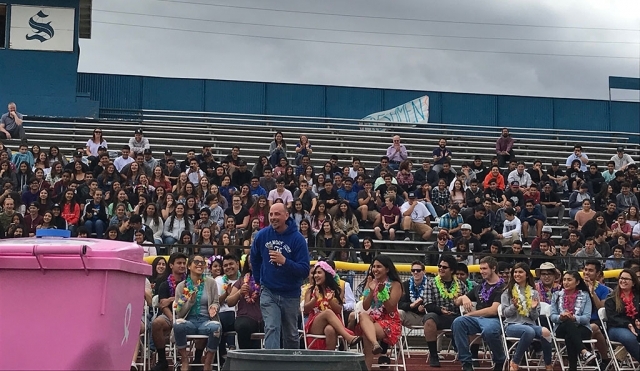 David Reese, Principal of Bakersfield High School, Kern HSD, went on to expound on how there have been so many things added to the school in the past three years and that the students have been the beneficiaries of it. 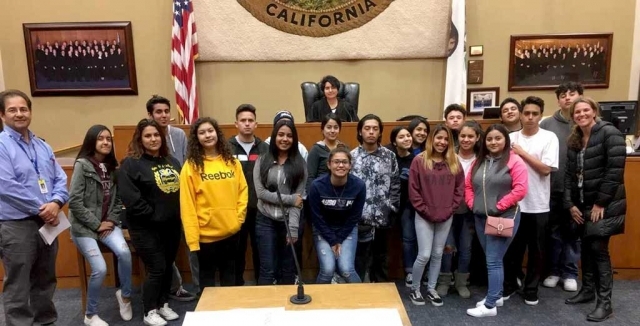 Tuesday March 13th Fillmore’s Sierra High School’s Street Law class visited the Ventura County Government Center. 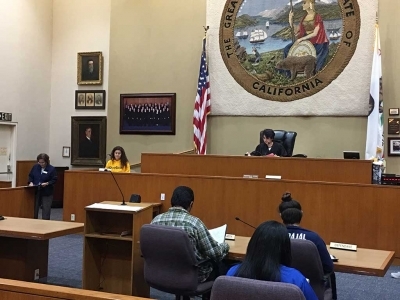 During their visit students were able to visit multiple courtrooms as well as conduct a few mock trials. Photos courtesy Kim McMullen. 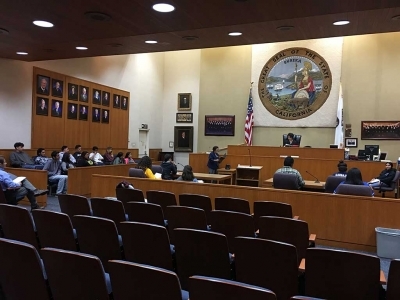 Sierra High School’s Street Law class attended a field trip to the Ventura County Government Center on March 13, 2018. During their visit the class was able to enter several courtrooms and observe several matters. One case involved an attempted murder trial. The prosecutor was taking direct examination of a forensic ballistics expert. Another case involved a breach of contract issue between a bank and an individual. In that matter the parties were settling the case before the judge. Thereafter, the class conducted a mock trial in Courtroom 22. Students role-played the prosecuting attorney, defense counsel, judge, defendant, bailiff, witnesses, and the jury. Prior to the mock trial, the Honorable Frederick Bysshe visited with the students and discussed his career in the justice system and responded to questions from the students. “Street Law” is a curriculum from Georgetown University’s Law Center. In this class, students explore a wide range of legal principles necessary for adult life in the United States, and to understand their practical application. Our students have studied Criminal Law and Procedure, Torts, Contracts and Constitutional Law. 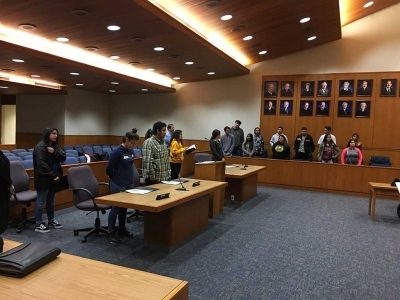 The field trip to the Government Center and Courts was a great opportunity for our students to see the practical side on how the court system functions and speak with individuals who work within the system. Counselor Kimberly McMullen and teacher William Chavez accompanied the class. 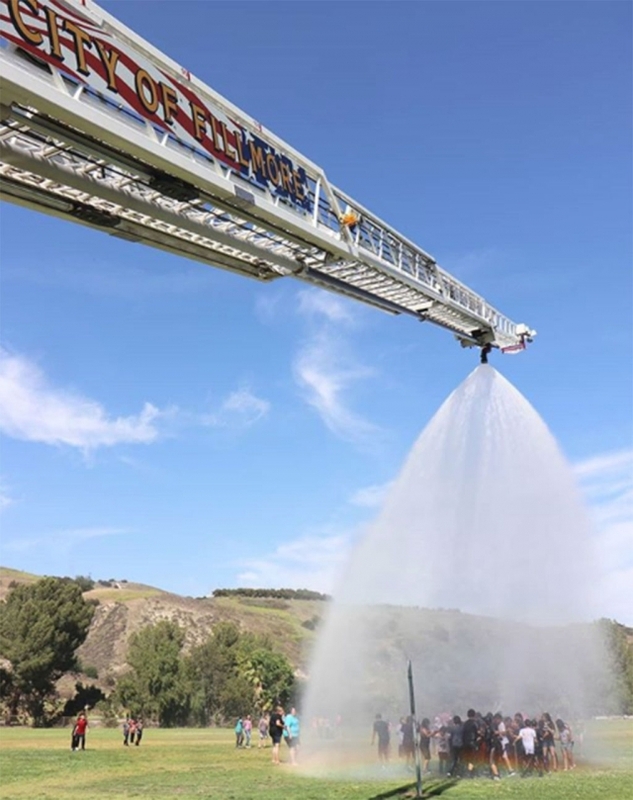 Last week Fillmore High School held College and Career Day for 11th and 12th grade students. The students had the opportunity to speaks with colleges, technical jobs, military, small businesses, etc. Photo courtesy Katrionna Furness. Last week at Mountain Vista Elementary School celebrated Read Across America Program celebrated Dr. Suess’ birthday. 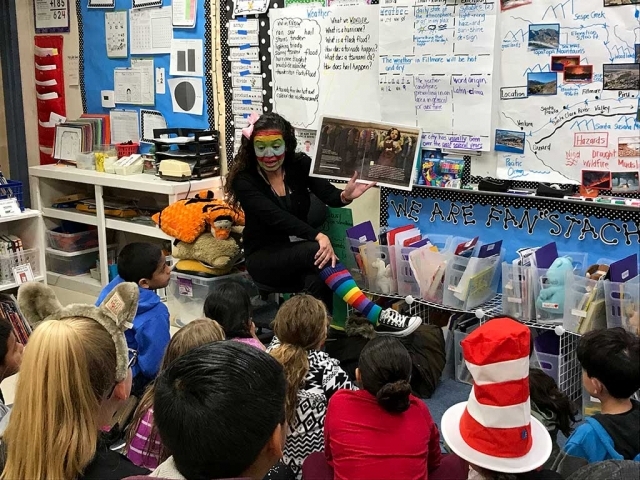 The school along with other school across the US held a dress up days for the entire week, and on Friday, March 9th the Mountain Vista Principal and students dress as their favorite Dr. Suess book character. 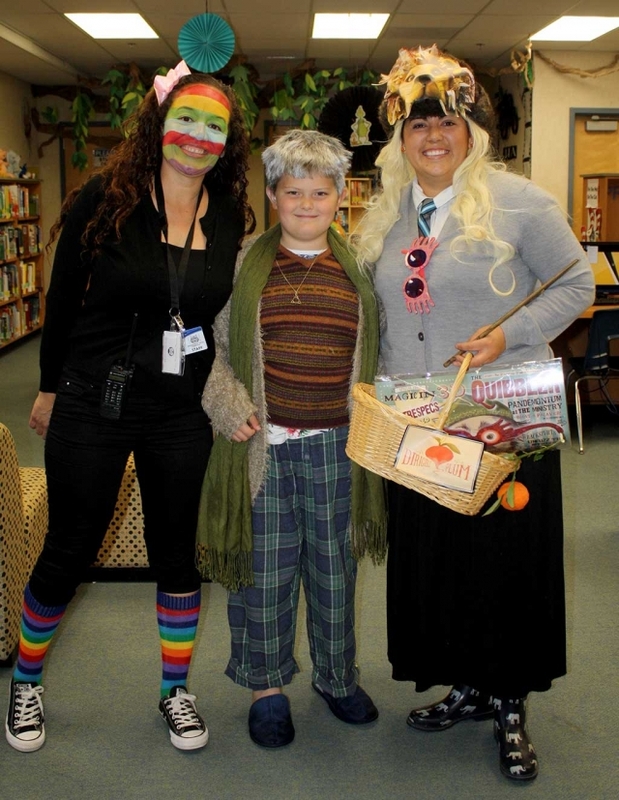 Pictured right is Mountain Vista principal a Mountain Vista student in Stripes with Harry Potter fanatics and the school librarian smiling for a photo. 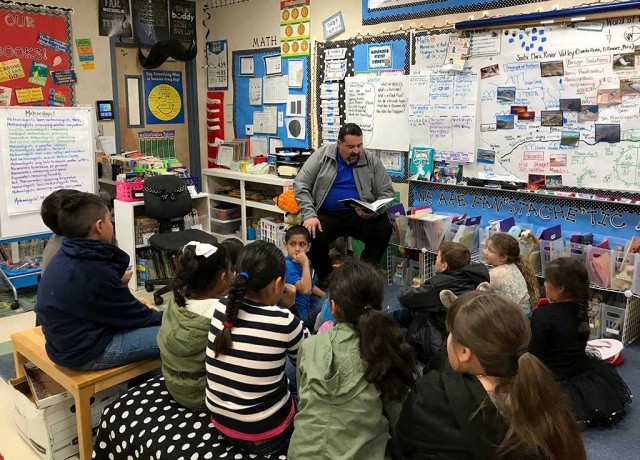 Picture below is Fillmore Unified School District Superintendent Adrian Palazuelos who read to the some of the students at Mountain Vista to celebrate Dr. Suess’ Birthday. Photos Courtesy Loriann Boon, Kelly Myers, and Sandra Cano Mountain Vista Elementary School Principal. Applications are now available for the FILLMORE WOMEN'S SERVICE CLUB Educational Scholarships. Any graduating High School Senior going to a Public or Private School, who RESIDES within the Fillmore Unified School District and is continuing on to a College or University can apply. Applications are available at Fillmore High School in the Career Center at the school, or you can call Susan Banks at 805-524-2020. 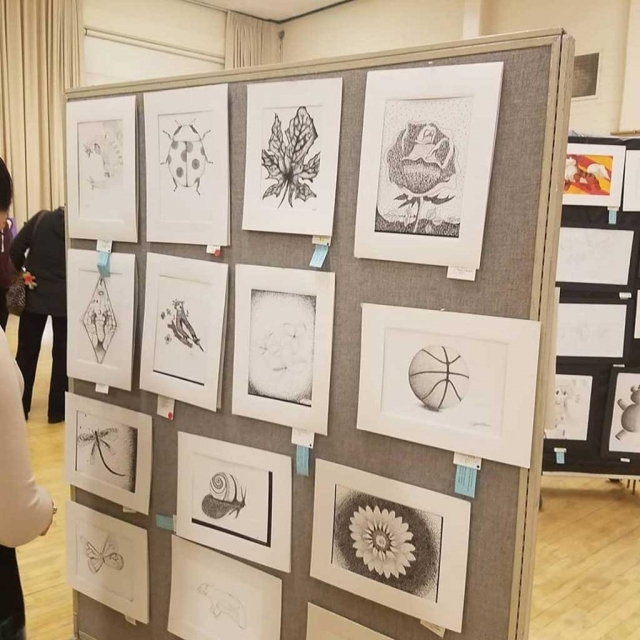 Applications are now available for the FILLMORE WOMEN'S SERVICE CLUB Trade and Art Scholarships. Any graduating High School Senior going to a Public or Private School, who RESIDES within the Fillmore Unified School District and is continuing on to a Trade School or a Community College to pursue a career. GRADES are not a factor. Applications are available at Fillmore High School Career Center or you can call Susan Banks at 805-524-2020. REQUIREMENTS: A desire to continue education General Self Esteem, Interests & Activities Scholastic Record and Motivation Toward Goals. Any graduating High School Senior going to a Public or Private School, who RESIDES within the Fillmore Unified School District and is continuing on to a College or University can apply. Applications are available for Fillmore High School in the Career Center at the school, or you can call Susan Banks at 805-524-2020. Applications are now available for Adult Women, 25 years or older, planning to return to college or Trade school or are currently attending such a school. Applications are available from Susan Banks, 805-524-2020 The DEADLINE is Monday April 9th, 2018. 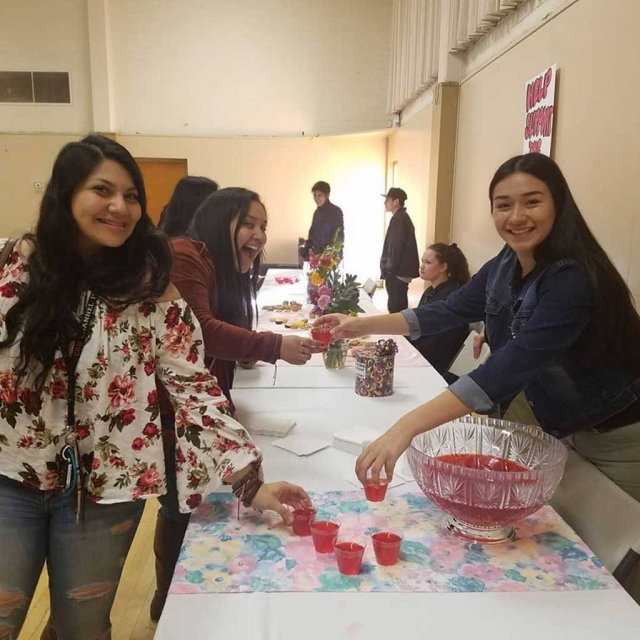 This Scholarship is for the educational improvement of women in the work force who reside within the Fillmore Unified School District to better the lives of their families and our community. Family, friends, and the community are invited to attend as the first graduates from Ventura County Library’s Career Online High School receive their diplomas. During the graduation ceremony on Tuesday, March 20, at 7pm, in the Topping Room of the E.P. Foster Library in Ventura, six graduates in cap and gown will share their stories and their plans for the future. Career Online High School (COHS) is offered by the Ventura County Library’s READ Adult Literacy Program in partnership with Gale, a Cengage company. COHS provides adults the opportunity to earn an accredited high school diploma and career certificate by utilizing the flexibility of the Internet to accommodate busy adult schedules. 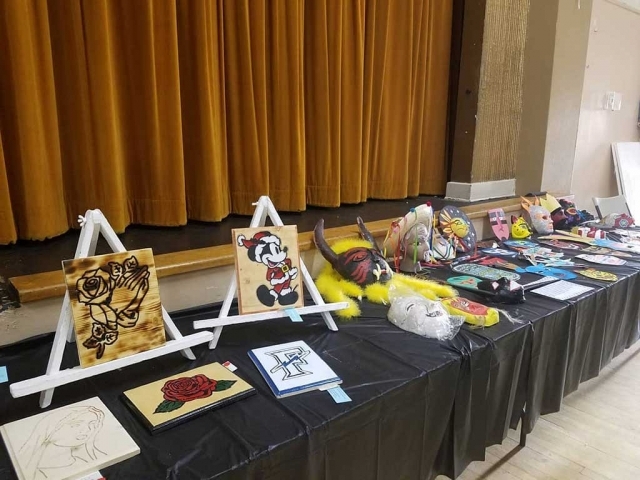 Career Online High School is one of several programs offered through the Ventura County Library READ Adult Literacy Program, and is an ongoing program accepting signups throughout the year. To learn more about the READ Adult Literacy programs and ways you can help, call (805) 677-7160. 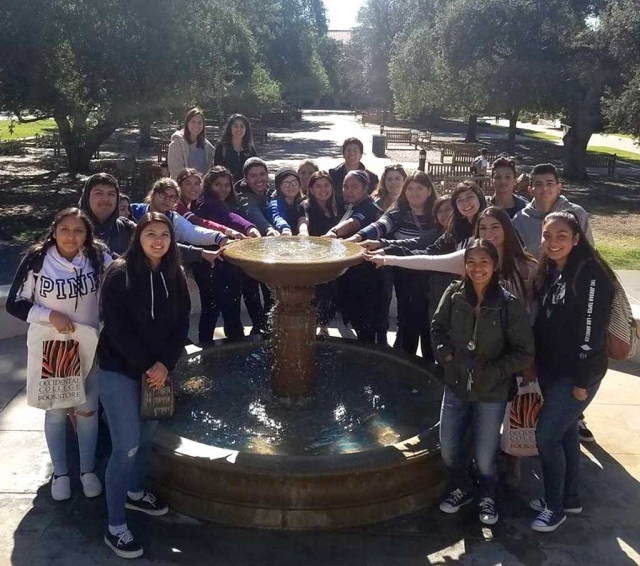 Last week students from Fillmore High School visited Occidental College. Field trips like this are to motivate the freshmen and expose them to higher educational opportunities. The Fillmore Unified School District (FUSD) met with representatives from the Fillmore Unified Teachers Association (FUTA) on Tuesday, February 27, 2018 to negotiate. Negotiations were held at the District Office (627 Sespe Avenue, Fillmore, California) beginning at 9:20 AM. Today’s negotiations session ended at 3:22 PM. FUSD and FUTA have held three negotiation sessions during the 2017-2018 school year. The next negotiations session for FUTA and FUSD is Tuesday, March 13, 2018. Trees have always helped define the CSU Channel Islands (CSUCI) campus, which has just been recognized as a 2017 Tree Campus USA university. This is the sixth year CSUCI has won a Tree Campus designation, which means CSUCI meets the five core standards for effective campus forest management: a tree advisory committee; a campus tree-care plan, dedicated annual funding for the campus tree program; an Arbor Day observance and a student service-learning program. The environmental honor comes from the Arbor Day Foundation program, which is celebrating its 10th anniversary this year. During the 2017 Earth Day celebration on April 21, CSUCI students worked with CSUCI’s grounds crew to plant five new strawberry trees and 10 Western Redbuds in the Central Mall. The students learned how to properly transplant a tree and all trees took root and are growing. CSUCI tree advisory committee members have a five-year tree maintenance plan for fiscal year 2018/19 to safeguard against tree limb fall hazards in high-traffic areas. CSUCI continues to practice good stewardship toward the environment by planting native trees such as coast live oak, valley oak, toyon shrubs and western sycamore. In addition, the campus continues to observe water conservation practices and reduces the use of pesticide. CSUCI is among 344 campuses across the United States that have earned this recognition. 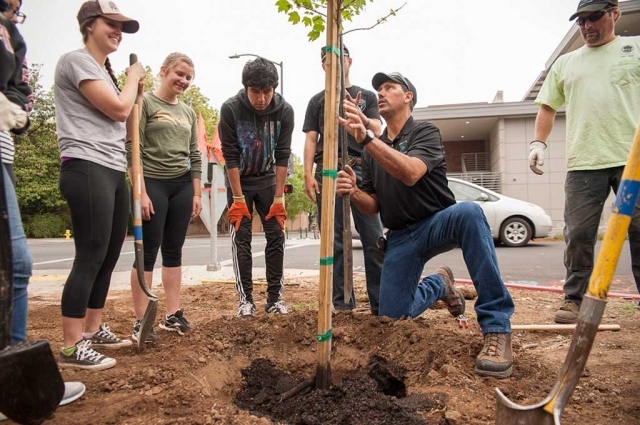 The Arbor Day Foundation has helped campuses throughout the U.S. plant thousands of trees and Tree Campus USA colleges and universities have invested more than $48 million in campus forest management last year. More information on the program is available at: https://www.arborday.org/programs/treecampususa/.